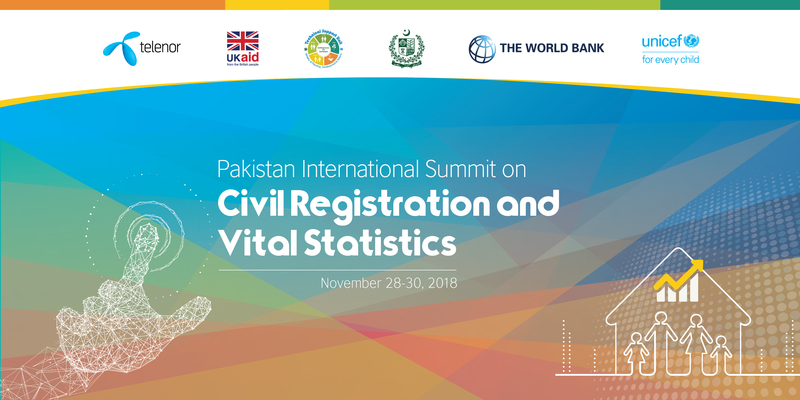 Pakistan's International Summit on Civil Registration and Vital Statistics Strengthening would be held from 28 to 30 November 2018 at Serena Hotel Pakistan. 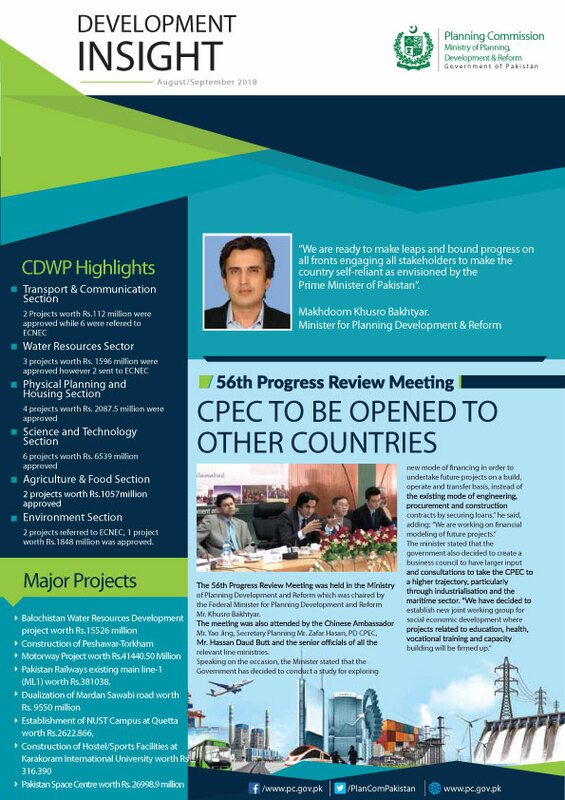 It is to be co organized by a partnership between Ministry of Planning, Development and Reform (TSU-CRVS), and UNICEF Pakistan with participation of National Database and Registration Authority (NADRA)), the provincial governments, and other international partners mainly UNFPA, WHO, DFID and the World Bank. Government delegations will comprise ministries/provincial departments of interior, law, health, local governments, planning, statistics, information technology and senior officials from the civil registration authorities. Participants will also include representatives of development partners, non-governmental, academic, research, civil society organizations and district managers. Given the scope of the event and to benefit from international experience CRVS experts/Civil Registrars from regional countries especially from SAARC would also be invited. This forum is expected to accelerate the efforts of governments and development partners to ensure that, by 2025, all people in the country benefit from universal and responsive CRVS systems that facilitate the realization of their rights and support good governance, health and development, at par with other nations through universal civil registration coverage, all individuals have legal documentation to claim identity and ensuing rights, and accurate, complete and timely vital statistics. The expected outcome of the Pakistan's International CRVS Summit is a consolidated statement and commitment from Federal/Provincial Governments, international partners, multiple stakeholders and civil society for meeting the targets set under the National CRVS Strategic Framework.